Want to explore the scenic Verde Valley of Central Arizona, but don't know where to start? A Phoenix-based company has the trip for you. 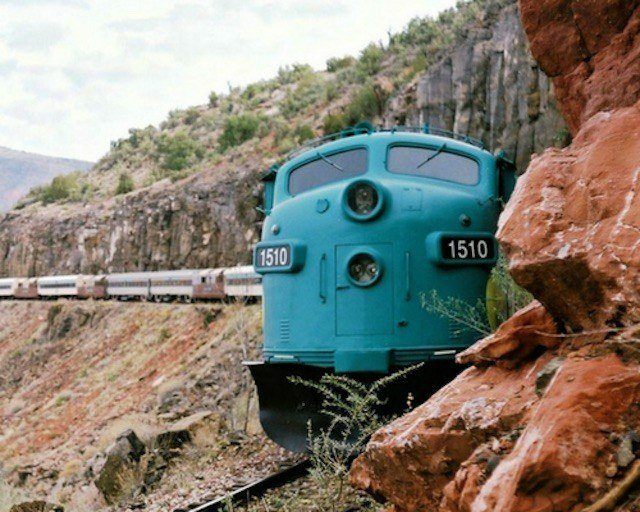 DETOURS announced last month that it's now offering a daylong guided tour that includes several highlights of the Verde Valley, plus a ride on a historic railroad. After being picked up at hotels in Phoenix and Scottsdale, guests head north toward the iconic mining town of Jerome, then to Clarkdale for a tour of the Copper Art Museum. They then take a four-hour ride on the Verde Canyon Railroad, which offers views of red-rock canyon walls and the Verde River. "There are so many places you won't find on your own on Google Maps," says DETOURS owner Jeff Slade in a news release. "The 20 miles of railroad track between Clarkdale and Perkinsville are rich with history and wildlife, and our guides offer the knowledge and stories to give you the best Arizona experience possible." The tour operates Wednesdays and Saturdays, and the $235 cost includes transportation, unlimited bottled water, museum admission, lunch and a first-class seat on the train. To learn more or book a trip, visit www.detoursofthewest.com or call 480-633-9013.